Ethan loves to bake with me. If we bake, we usually make cookies, and Ethan’s favourite cookies (though he hasn’t ever met a cookie he didn’t like!) is peanut butter cookies. Preheat your oven to 375ºF cream together margarine and peanut butter, I always use my stand mixer with the paddle attachment. Add in the sugars, baking soda and baking powder and beat until combined. Add in eggs and vanilla and beat until well combined. Stir in flour and mix well. Chill dough for easier handling if desired. 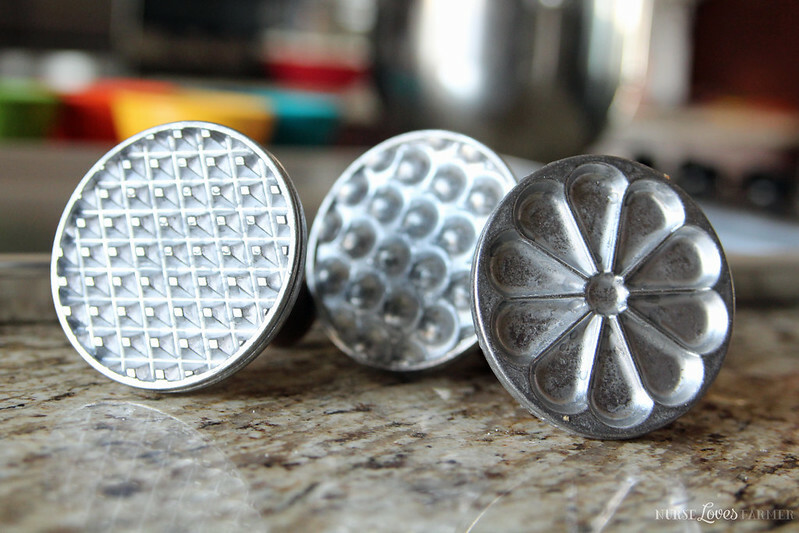 Take a cookie scoop or tablespoon to measure out some dough, roll it in your hands and place on ungreased cookie sheet. I used my new Nordic Ware big sheet baking pan and it was awesome and fit 15 cookies perfectly. Then you flatten the balls with your hand and then take the stamp of your choice to flatten even more, if you want to use stamps. If not, old fashioned fork impressions work just great! Bake at 375º for 7-9 minutes or until bottoms are golden brown. I find I need to let these cool on the sheets for at least 5 minutes before I transfer to wire rack or they’ll fall apart. Preheat your oven to 375ºF and cream together margarine and peanut butter. Add in the sugars, baking soda and baking powder and beat until combined. Stir in flour and mix well. Chill dough for easier handling if desired. 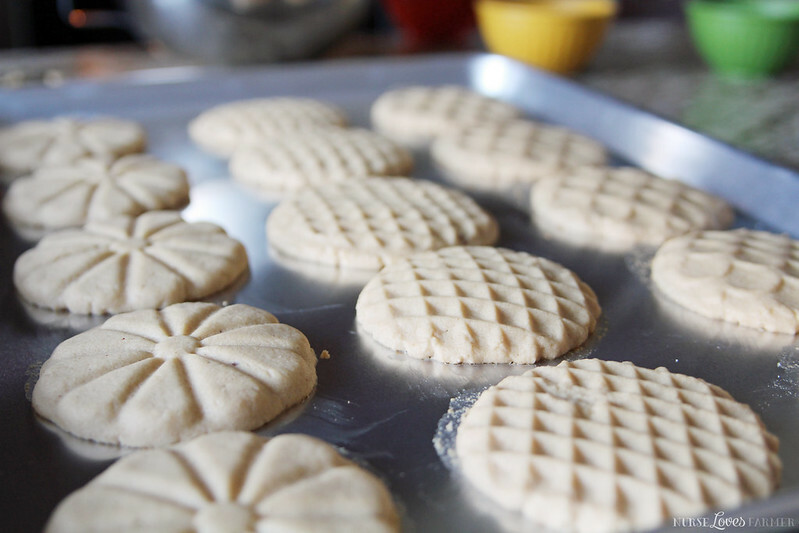 Take a cookie scoop or tablespoon to measure out some dough, roll it in your hands, coat with sugar (I like to place my sugar in a pie plate and roll it around), then place on ungreased cookie sheet. 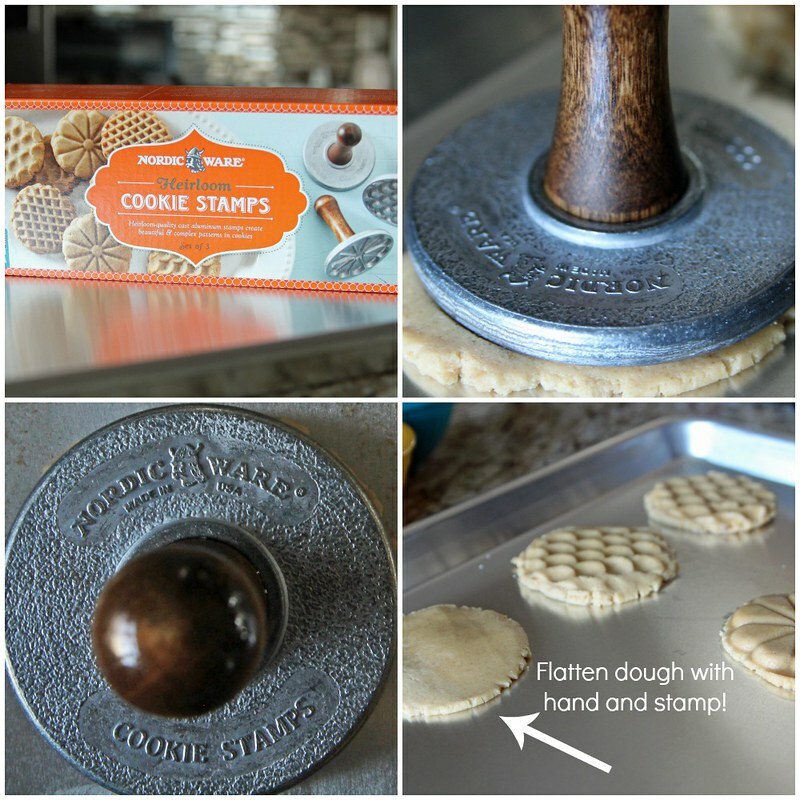 Use stamp or fork to flatten cookies work just great. Bake at 375º for 7-9 minutes or until bottoms are golden brown. Cool on baking sheets for at least 5 minutes before transferring to cooling rack or they will fall apart. Hope you enjoy as much as Ethan! It’s a bit labour intensive to coat them in sugar, you can skip this step (like I did for this batch!) if you want to!